"Find your inner power to shapeshift into the next version of you... in less than one month." You desire to change old patterns and form new, healthier habits. You want to avoid burnout and gain more energy, clarity, and vitality. You know our modern pace requires slowing down and pausing for balance. You know it pays to be in the kind of company that can motivate your next breakthrough. You know skin issues, immune issues, and allergies are signs you need a detox. 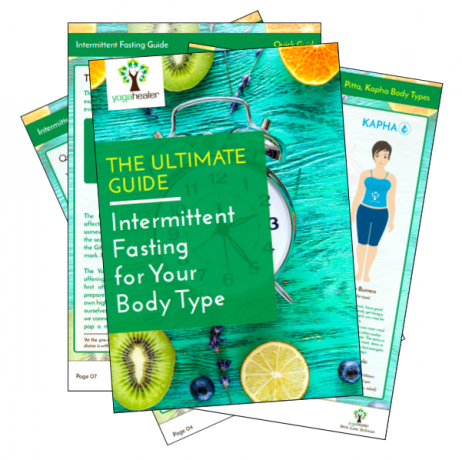 Get Cate's Ayurvedic Intermittent Fasting Guide! You deserve time for you. Time to eat healing foods. You deserve to take this time. The habits you choose over time create your day-to-day thrive. In Body Thrive, Ayurveda and Yoga expert Cate Stillman guides you through 10 essential daily habits rooted in Ayurveda that rejuvenate you and create more ease in your day. Through aligning your daily routines to natural biorhythms, Cate instructs you step-by-step to catalyze more energy, improve your digestion, cultivate peace of mind, and evolve your habits toward lifelong wellness evolution. 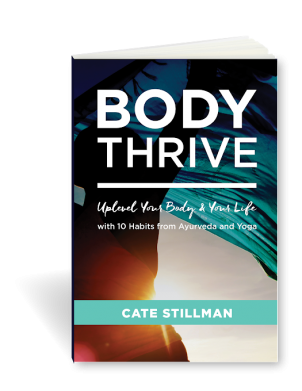 "In Body Thrive, Cate Stillman expertly distills the time-tested and often complex wisdom of Ayurveda to provide succinct tools and practical daily habits to help modern humans experience extraordinary health--this is the next frontier of Ayurveda." Kate O’Donnell, author of The Everyday Ayurveda Cookbook and Everyday Ayurveda Cooking for a Calm, Clear Mind has been practicing Ashtanga yoga and Ayurveda for 20 years. An avid interest in the healing powers of food and yoga fuel her work. She is a Boston-based Ashtanga teacher and Ayurvedic practitioner, and director of The Boston Ayurveda School. She continues to travel annually to India for study. Talya Lutzker is a Certified Ayurvedic Practitioner, Nutritionist, Professional Chef, Yoga Teacher, the founder of Talya’s Kitchen catering company and the author of 2 cookbooks, including her newest publication - The Ayurvedic Vegan Kitchen. Talya earned her Ayurvedic certifications at the dhyana School of Therapeutics and has been practicing Ayurveda since 2001. Talya’s passion for yoga, holistic medicine and innovative, healthful cooking shines through in her enthusiastic and inspiring teaching style. Amadea Morningstar writes about healing and self-care in Ayurveda. She’s the author of the new eBook series Easy Healing Drinks from the Wisdom of Ayurveda with photographer Renee Lynn. Amadea directs the Ayurveda Polarity Therapy & Yoga Institute in Santa Fe, NM. Amadea has a private practice in Santa Fe, New Mexico, offering Ayurvedic nutrition and lifestyle education, marma therapy, and polarity therapy. Her publications include the new Easy Healing Drinks from the Wisdom of Ayurveda series. Experience more energy, more clarity, a better daily rhythm. "I slimmed down before winter." "My negative self-talk went away." "I'm feeling younger than I have in 10 years." "I have mental clarity now." "My chronic join pain is 70% gone!" "My intuition is much stronger." "I developed a meditation practice." Cate Stillman, Clinical Ayurvedic Practitioner, began leading the Yogidetox in 2002 to encourage her yoga students to experience the benefits of an at-home retreat. Trained in the cleansing process from Ayurveda (Pancha Karma) Cate expanded the Yogidetox to guide people of all constitutions with different lifestyles through a collective evolution experience together in the Yogidetox. Some people start the detox as coffee-drinking, whiskey-imbibing, pot smokers. And others start with a zen-like clarity and yogic-like inner body purity. We have room for all, and there are many levels to engage. You'll feel your body getting smarter. And you will be better able to meet the deeper needs of your body. Your cravings will become more intelligent. You'll get better self-care habits. It's sort of magical. The Yogidetox has a 30% return rate. 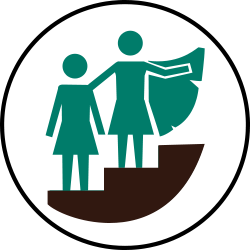 Meaning - the people who join like to come back to go deeper or to support others. It's a community cleanse with a power beyond what we can do alone. Tap into the support of the Yogidetox. uplevel your self + your life. Q: What foods does the cleanse focus on or eliminate? A: The Yogidetox focuses on adding in nutrients, enzymes and prana through green vegetables, fruits, sprouts, spices, nuts and seeds primarily. Some people will also use grains and legumes. Your intuition will become awakened through the course focus steering you towards these foods in the right quantity and diversity for your constitution. The Yogidetox is unique to each member, depending on your experience and your goals. The course awakens the part of yourself that knows better (smart self or higher self). You naturally end up eliminating that which is no longer serving you or keeping you stuck in old patterns. Frequently, connections are made between mental patterns, emotional patterns and cravings. The Yogidetox attunes you to seasonal eating so as you emerge, you crave that which is seasonal, local, and good for your constitution. You peel the layers (physical, mental, emotional) away and awaken to more vitality on all levels. The desire to keep your body clear and open is natural. Q: Do you supply the recipes? A: Yes. There are three recipe packets: pre-cleanse recipes, deep cleanse recipes, and recipes for emerging from the cleanse. These packets offer plenty of options, ideas, and choices. I recommend that you use only a few of the recipes and simplify your food choices during the cleanse. Please experiment and create new recipes using your own combinations of the cleanse foods. A: It depends. There are 5 different cleanses to choose from that vary from liquids to heavier whole foods. You will receive an online recipe book when you sign up. There are plenty of options, ideas, and choices. It's not a one-size fit's all experience. I recommend that you use only a few of the recipes and simplify your food choices during the cleanse. Please experiment and create new recipes using your own combinations of the cleanse foods. The Yogidetox is not only about food, it’s much more about awakening your intuition to evolve your food body. For someone who is currently eating processed foods, the Yogidetox will be a transition from processed foods (foods in boxes, cartons, frozen, or canned) to meals including whole foods such as vegetables, fruits, nuts and seeds, sprouts and whole cooked grains. For those who regularly eat a whole foods diet, the cleanse might incorporate more living foods. Living foods are not heated above 115 degrees, the temperature at which enzymes die. An example of a living foods daily menu might include a green smoothie for breakfast, a salad at lunch, and a raw soup for dinner. A living foods diet incorporates leafy greens or straight chlorophyll. Chlorophyll is what makes leafy greens green and provides healthy oxygenation and detoxification. The Yogidetox for those already eating a living foods diet would include a juice fast for 7-14 days. Juice fasts help bodies to refine and adjust to the next season. For example, transitioning from fall into winter. Q: What else is the cleanse about if it’s not just about food? A: In addition to mindful and intuitive eating, the cleanse involves taking retreat in your home and in your daily life. Many people wish they could stop working or have fewer of their normal responsibilities during the cleanse. The Yogidetox views our daily lives and work lives as gifts. Learning to retreat within the busy-ness of life and the change of seasons will instill a life-changing upgrade for the season to come and your entire lifetime! This is achieved through incorporating daily self-care techniques that detoxify the body and nourish and nurture the soul. These skills will last and enhance for a lifetime. Q: What can I expect to eat on the typical day? A: The cleanse is different for each person. Some will do a mix of juicing and fasting. Others will eat a simple whole foods diet of green, root, and shoot salads, nori wraps, smoothies, and teas. Q: Do I need a juicer to participate? A: You don’t need a juicer, but juicing is a great option. Try borrowing a juicer from a friend, and see if you like it. Juicers I recommend for purchase are the Breville Juice fountain ($100-200) or the Omega juicers ($300+). I use a blender more than a juicer when I detox. I like the Vitamix. Q: I overeat. Will I be able to handle the Yogidetox? A: Many people have lost weight during the Yogidetox and not struggled with cravings due to the huge emphasis on better self-care rituals and daily habits that we learn in the Yogidetox. The emphasis isn't on weightloss - it's on self-care and reconnecting with intuition with our cells to make choices in sync with our higher nature. Q: What changes in my life can I expect from doing the Yogidetox? A: What I hear the most is, “Everything gets better!” This is due to the systemic nature of toxins (ama) that creates dis-ease, low energy, and innerbody confusion/stress. The anti-inflammatory nature of the Yogidetox coupled with the lymphatic cleansing clears out joint pain and mucus. For those who cleanse 10-15 days your skin and eyes will tend to clear and glow. Q: What are the long-term benefits? A: Many! Increased energy, better sleep, stress reduction, lifelong self-care practices, and more! The most common feedback I receive from past Yogidetox clients is a higher level of understanding of how to take care of and heal their own bodies in ways they can share with their families and loved ones. These are skills that they will use for the rest of their lives. These fundamental practices are part of the traditional Ayurvedic routine or dinacharya. We take time during the cleanse to learn these practices and they simply become a part of daily life. Q: Will I have to quit coffee? A: Maybe! (laughter) And don’t let that deter you. For a period of time during the cleanse, you will experience natural energy in addition to resting and rejuvenating your adrenal glands and our kidneys. Cleansing often reduces or completely removes the craving for caffeine. Cleansing almost always creates a new respect for the body’s ability to create it’s own natural energy without any side effects or reliance on a stimulant. It is rare for a person to return to normal consumption of caffeine after cleansing. Q: What are the benefits of the Yogidetox while pregnant or postpartum? A: All pregnant and postpartum women are guided to do a rejuvenation instead of a detox. It's built into the Yogidetox program, as I know many prenatal and postpartum women who have greatly benefit by taking 3 weeks to focus on diet, self-care and better household routines. Q: Can I continue my regular exercise program during the cleanse? A: Some people have more energy and exercise more than normal during the cleanse. This is typical of Kapha bodytypes. Vata types generally find they are drawn to more nourishing activities like walking and yoga. Pittas may go either way, though in general their drive keeps them quite active. I generally find that cleansing initiates a more reflective quality of the mind and the desire to train hard is replaced by a desire to simply be. Most people who have a race after a cleanse find themselves strong and ready despite having trained less during the cleanse. This would be due to having less ama in their body and mind, and being more in the zone and more deeply nourished for the task at hand. Q: Will the foods during the cleanse cost a lot of money? A: Most people save money during the cleanse, because the cost of whole foods is generally less than that of pre-packaged foods. Those choosing the juice fast may spend considerably more, due to the large quantities of fresh vegetables required. You can get everything locally, with an option to mail order some herbs for me. I also encourage harvesting wild foods including unsprayed dandelion greens. I generally consume free local greens when I cleanse. Q: Is this a raw foods cleanse? A: It can be if that is what you are looking for. If it's not what you're looking for - then you'll fit into the category of most of the people in the Yogidetox. If your intuition is leading your body into a raw foods cleanse, then your cleanse foods will be a mix of vegetable juices, green smoothies, green juices, raw salads, fruits, and sprouts. Pre-cleanse and post-cleanse weeks may also include some nuts and seeds, particularly chia and flax seeds. Other options include a traditional Ayurvedic kitchari (rice and mung bean stew) cleanse with additional recipes for cooked foods during the pre- and post-cleanse weeks. Q: Is it difficult to cleanse? A: No, especially if you invest your attention in what we're doing in the course. You'll create time to align your body, your habits and your rhythms. I'll encourage you to follow your intuition and point your awareness into self-care and nourishing practices that will enhance and support the food aspect of the cleanse. Your natural desire to choose the right foods and recipes will get stronger as you enter the cleanse. Also, rely on the support of weekly calls, the online forum, and assistance from myself and the Yogidetox mentors. The main purpose of the Yogidetox is to simply awaken your intuition regarding self-care, food, and daily routines so that you can raise the consciousness of the cells of your body to the next level of your potential. Q: What if I cannot attend the call? A: These calls are recorded. You can access them in the members hub, listen online or download and listen in your own time. Q: What if I want to detox earlier or later than the group? 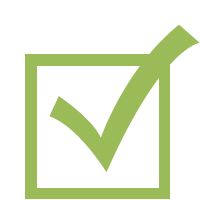 A: Once you are registered, you can let us know when you want to begin. You will then receive your lessons based on your schedule. Q: Is yoga part of the cleanse? A: Yes. 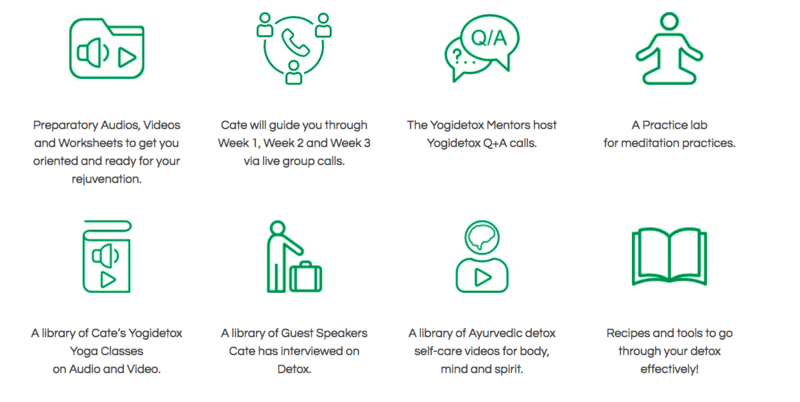 You get access to the Yogidetox video and audio library, complete with practices for your detox. You can select your level and length of time. Both yoga students and teachers enjoy the classes as you will learn so much about yoga and detox. Q: I don’t live near you. How do students feel connected with you in the Yogidetox online course? Q: Will I learn more about Ayurveda? A: Yes! You'll learn about your constitution (doshas), your digestion (agni), your immune system (ojas) and more. Many yoga students and teachers get fired up about all they learn from Cate's lectures, videos and guest speakers in the Yogidetox. The yoga classes in the Yogidetox are packed with practical Ayurvedic wisdom. Q: Will the Yogidetox help my meditation practice? A: Yes. You will receive guided meditations to play at your convenience. Members are also strongly encouraged to meditate first thing in the morning or just before bed for at least 5-10 minutes, depending on your routine. Meditation assists in drawing energy inward as well as creating a time of assimilation. Cleansing takes great energy, it uses Shakti. Inward focus is critical during cleansing in order to give the body time to understand and adjust to changes. When our energy is constantly extroverted, we feel irritable, frustrated, grumpy, bitchy, etc. Creating even just a few minutes a day for self-care and meditation acts like a reset button, allowing the cleansing effects of the day to sink deeper into the cells. It introverts our awareness and awakens a new depth of detoxification, integration, and healing. Meditation can also calm the fears, anxieties, and worries around food cravings, changes in daily routines, and expectations for the future. It also alleviates depression. Q: I smoke and want to quit. Will the Yogidetox help me? A: Yes, Detox will help. In the guest speakers in the Yogidetox is an interview with Kevin Reese, of eatthesunshine.com. Kevin tells his story from being an obese, sugar-addicted smoker to giving up his outdated habits. This is a common story with detoxing. When your cells are detoxed, they are happy, and they emit cravings for that which is healthy. Unhealthy cells crave unhealthy substances. The detox is an opportunity to let go of outdated patterns. For smokers looking to detox, instead of just trying to quit, and putting a lot of strain on your system, I’ll invite you to simply start adding in better self-care habits. This way the outdated habits will dissipate on their own, without provoking a war. You are on the right track. The key is in learning the self-care of detox, which I teach in the Yogidetox. Q: I take medication regularly can I still cleanse and what should I do about taking my medicine? A: Yes. Although you need to stay on your medication unless your doctor gives you permission otherwise. You might find there is much power in taking a very proactive approach and perhaps even life-changing approach to your health, while maintaining your medication and cleansing. Q: Can I work during the cleanse? A: In a perfect world, we would all go away on retreat to deeply cleanse and release all responsibility. In tailoring the cleanse I assume most of us will keep working, and some of us have children or parents that come first. I give you timesaving tips to maximize your alone time. While it is common to experience dips and high points during the cleanse, the end result is an increase in energy. Q: I’m an athlete; can I continue my workout regime and keep preparing for my race? A: Yes. I do not recommend having a competition during the cleanse because one of the purposes of cleansing is to move energy internally rather than externally. However, normal physical activity can be a part of the cleanse and a lightened training schedule is also appropriate. Many people who have cleansed with living foods, green foods, and high pranic foods experience an efficiency of performance. The body is able to eliminate toxins and increase nutrient absorption and energy production during the cleanse. This creates overall increased efficiency in all activities. These same benefits will apply to post-cleanse competitions. 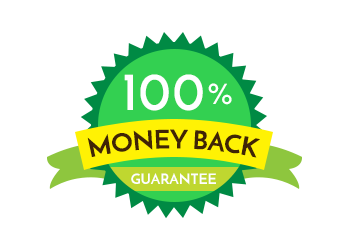 A 100%, Absolute Money-Back Guarantee Extended for 14 Days! A 100%, Absolute Money-Back Guarantee Like No Other Extended for 14 Days! I am absolutely confident that if you give it your all during the first two weeks of the Yogidetox and don't have realign to your body's biorhythms, you can quit then and receive your full tuition back. Of course if buy and don't try, we can't refund you. Apply the principles you will thrive more as you age and feel better in your body... or your money back. I believe in my programs so much and I know if you give them a try, you will too. We have a 15 year track record with thousands of happy members and success stories that bring tears to my eyes. That said, if you show up and participate to get the results you want, and you don't like what you bought, I’ll give you a full refund no questions asked. With a no-hassle policy and no financial risk, just the possibility of real health benefits! JOIN THE GLOBAL YOGIDETOX NOW!